2) Easy opening fixture against Bangladesh to ease their way into the tournament because against the Tigers they possess a 28-1 record in their favour. Therefore, surely they will win this fixture with a bonus point too and therefore even if they lose the next one against Sri Lanka 3 days later, they will still stand a chance of getting it right against India and still qualifying for the final of the 7 match tournament. Pakistan also won 5 of their 6 ODIs against Sri Lanka last year so will be confident of getting the better of them which means they would have qualified for the final even before their tussle against India on the 18th. 3) Fatigue may come into play for the others. India & Sri Lanka have both been completing a lengthy travelling experience down under where they have been competing in a heavily scheduled tour. Moreover, the conditions they were up against there were completely different for those that may argue that the more matches they have played down under gives them an added advantage of such coming into the 11th Asia Cup. 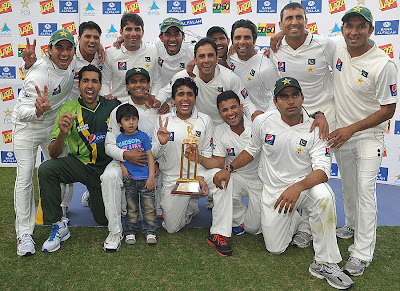 4) Pak recently toured in Bangladesh at the back end of 2011 & won all 6 matches. Some of the current squad which has been picked for the Asia Cup also have been participating in the BPL so they will have greater familiarisation of the conditions. 5) Misbah ul Haq is due to win a tournament. Across all forms of the game the dependable leader of men has won 15 in 18 series as captain. Surely something is building towards a major tournament win in order to strengthen his CV even further which will be the icing on the cake to that close to impeccable captaincy record. 6) The spirits and stability in the camp is higher than the others, yes, it is strange to be associating this with Pakistan, but that it is. Pakistan have been winning close to everything and have been free from controversies. In the Indian camp there are rumours of disputes happening and 2 camps developing. India have been down and out since lifting the World Cup in Mumbai on April 2nd. Sri Lanka have had changes in personnel. The Islanders have lost all of their last 4 ODI series. Pakistan on the other hand come into this series having won 7 of their last 10 ODI series since the Asia Cup was last held. Their recent ODI failures should not be looked upon too highly as it is a common feature to see sides lose an ODI series when it proceeds a landmark test series triumph. There is bound to be an air of complacency which wouldn’t have happened had the ODI series been played before the tests. 7) Misbah has previously captained against India in an Asia Cup fixture with Pakistan chasing over 300 to win at the National Stadium in Karachi. 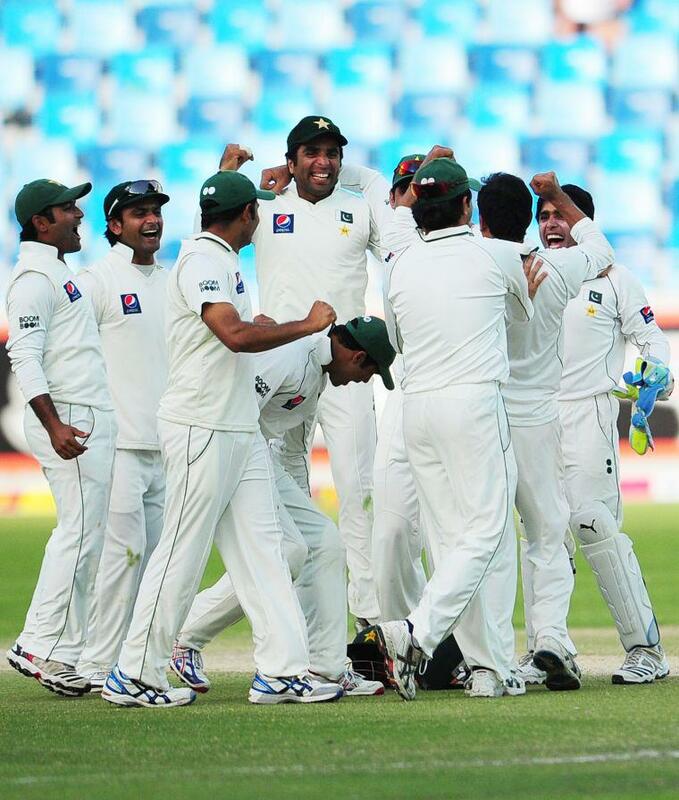 It was the Younis-Misbah show for the 4th wicket which got Pakistan home well in time. These past memories will be put him in good stead that it can be done against them. The captain has to lead from the front & has taken a liking to the Indians in the past with his 2 marathon test centuries in 2007, unbeaten 70 as stand in captain in 2008, quick fire innings down the order in the Kitply tri series final in 2008 & his heroics in the first India-Pakistan Twenty20 match where Misbah enabled Pakistan to salvage a tie from an improbable position to go along with a few List A centuries in 2004 against India “A” who at the time were made up of some players who are in the current Indian one day side. Misbah has experienced plenty of individual success against India. Dernbach – The Surrey Lions bowler is a deceptive operator with a unique approach towards bowling. With such a range of skilful well disguised slower deliveries of the hardest calibre Dernbach is the sort of bowler who can mesmerise the opposition. What stands out about Dernbach is the dip and drop his slower balls get in the air whilst batsmen look to execute their strokes. Dernbach can still bowl the off stump line and clock top speeds which makes him even more dangerous because you simply never know what’s coming down. The South African born Dernbach can bowl 6 different deliveries an over with multiple cutters and changes of pace. The Greens wouldn’t have seen much of him before which would make him a greater threat as it can be difficult to adjust and adapt to facing him as you don’t find bowlers like him around the world often. After taking 4 wickets in his first outing of the tour Dernbach would be fairly confident going into the 20/20s. Swann – An off spinner who can deceive the batsmen in the air with his dip, drift and tidy lines of attack. Swann claimed 5 wickets in 2 T20s against Pakistan in the UAE here in February 2 years ago for a brief 2 match series. Against Pakistan at home in Cardiff during the 20/20 series in 2010 Swann bowled beautifully, memorably dismissing Umar Akmal through the gate as Umar charged him once more after the youngster had clubbed him for 2 maximums back past his head a few balls before. Swann followed that up by dismissing the left handed Fawad Alam with a sharp turner that found the edge for a caught behind to give him 2 in 2. Swann has captained England in their last 3 20/20s so should be consulting with Broad who is the new to the job by sharing his suggestions and advice. Eoin Morgan – A genuine match finisher who can play shots 360 degrees all around the wagon wheel. Morgan is also the vice captain of the 20/20 side so will want to make an impact with the added responsibility. Morgan can hit them big, improvise and strike the ball in strange places. Not an easy batter to set a field to by any means. Kieswetter – The Somerset wicket keeper batsmen who was MOM in the 2010 WT20 final in Barbados on May 16th 2010 with that blazing half century against the Baggy Greens. Kieswetter can play explosive strokes and utilise the power play up front with his fearlessness, hand eye coordination and self confidence. There have been suggestions he will be returning to the top of the innings as usually has been the case in this format. Pakistani opening bowlers will like to see the back of him early. 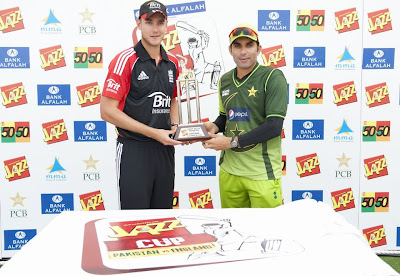 Awaiz Zia – T20 is a stage for youngsters to make their name and impress one and all with their talents and freshness. Zia has been selected in the Pakistan squad as a T20 specialist. Zia possesses a phenomenal strike rate and has captured the headlines in domestic T20 competitions where he opens the batting for Rawalpindi Rams who won the inaugural Faysal Bank Super 8 tournament in July which was held at the Iqbal Stadium in Faisalabad. Misbah ul Haq – Pakistan’s leading T20 run scorer with an average in excess of 35 which is considered extremely high for the format. Misbah has a safe pair of hands in the field with his sharp reflexes and bucket hands. Misbah will most likely be positioned at mid wicket saving the single when the spinners are in business which is a key position so he’ll always be in the action. Misbah recently scored 48* from 38 balls to guide Pakistan to a 5 wicket win in a one off T20 against Sri Lanka who came into this encounter having won all their previous 5. In 7 successful 2nd innings chases Misbah has been there at the end to knock off the winning, guide the team over the line and remain unbeaten on 4 occasions. Misbah can be innovative in his strokes, but can also lift them big when needed & run them hard between the sticks. Mohammad Hafeez – Struggling for form of late against England, however his T20 form has been exceptional with 3 man of the match awards in his last 5 internationals in this format with his all round credentials. Hafeez was Pakistan’s leading run scorer and leading wicket taker in T20s last year. Will the extra freedom of the format enable his form to return? 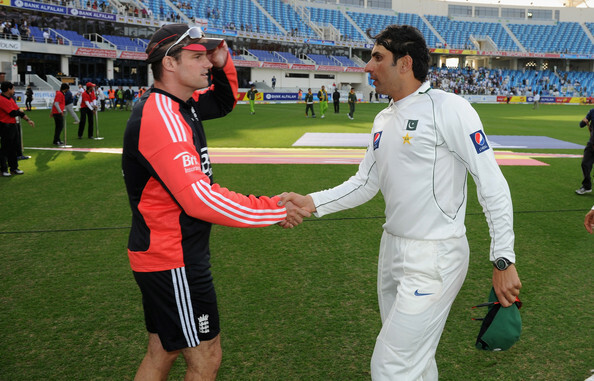 Saeed Ajmal – England have struggled to pick him throughout the test and ODI series no matter how hard they have tried. Ajmal already has 34 wickets against England in their tour of the UAE. The number 2 ranked T20 bowler in the world on the ICC T20 bowling rankings will be looking for more scalps in these final 3 matches. Ajmal is a difficult customer to get hold of when looking to attack. The off spinner has all the toys to outsmart the English batsmen who can easily get stuck at the wicket against him in the middle overs. Pakistan’s go to man will be equally as influential in the shortest form of the game. Unfair to dismiss Shahid Afridi: Mr Twenty20 cricket. The former Pakistan captain is the leading T20 wicket taker in the world at international level. A man who has been signed with Hampshire Royals, Deccan Chargers, Melbourne Renegades, Dhaka Gladiators, awarded captaincy of Karachi Dolphins and signed for endless T20 teams around the globe with his glamorous appeal as the crowd come flooding through the gates to see him in action. The leg spinning all rounder is probably highest profiled T20 cricketer in the world. Afridi bowled poorly in the one day series and struggled to make an impact averaging over 66 per wicket in the 4 day night matches, but showed promising and threatening signs with the bat which Misbah ul Haq will be hoping comes off in this series. When on fire, few can match him. England has a 5-2 record against Pakistan in Twenty20 internationals, winning the last 3 games. 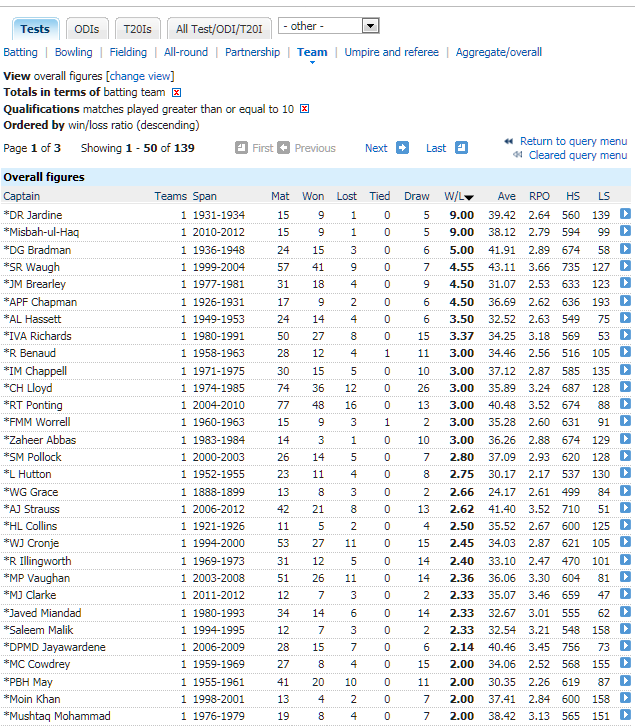 England is the currently number 1 ranked T20 side. They are also defending champions of the World T20 which they will be defending later this year in Sri Lanka. Pakistan have won 62% of their T20 internationals with 31 wins in 50 encounters. Pakistan have won 7 out of 14 T20 internationals since the 2010 World T20 & 13 out of 26 since winning the 2009 edition. Misbah ul Haq has won all his 5 T20 internationals as Pakistan captain. The statesmen captain is also Pakistan’s leading run scorer in the format with an astonishing career average of above 35 whilst maintaining a SR of above 110. Stuart Broad has captained England in 2 T20 internationals, winning against India, but losing to Sri Lanka. The last time these two sides met in T20s was in September 2010 for a 2 match series with England winning both matches easily. Pakistan played their very first T20 international against England in Bristol 2006 with Pakistan winning. 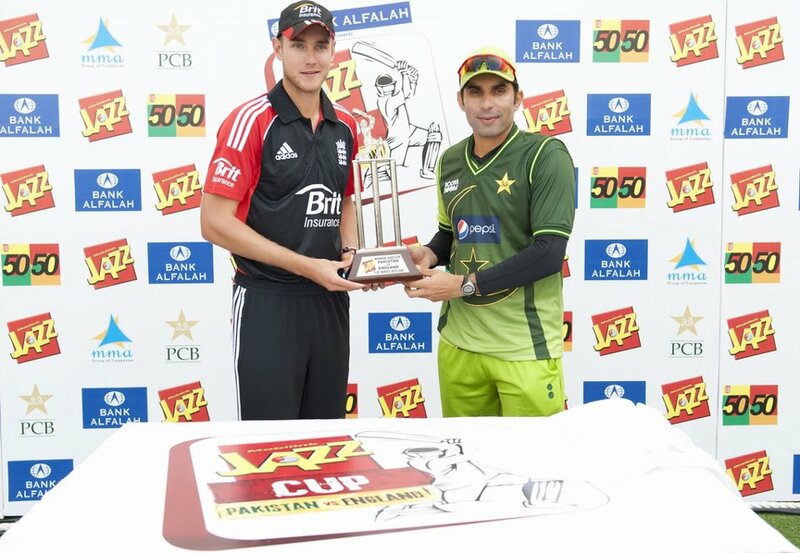 England played Pakistan in 2 T20 internationals in the UAE with the series drawn at 1-1, Pakistan winning the latter. Awais Zia may only average 13 in List A matches; however the explosive left handed dasher was an integral part of the Rawalpindi Rams team which won the Faysal Bank Super 8s in Faisalabad last summer. Awais was Pakistan’s stand out performer in the SAARC Under 25 tournament in the Maldives. However, Umar Akmal has been batting in the top 4 in Twenty20s, but until the Younis - Misbah era is over there is no realistic chance that he will be pushed at the top of the order in the ODI format. Even after that, the likelihood is Shafiq and Azhar will be occupying the 3 and 4 spot with their batting styles. At best Umar Akmal coming in at #5. Alastair Cook once again won the toss and elected to bat first at the Sheikh Zayed Stadium for the 2nd one day international of the series, a match which the Greens needed to win in order to stand any chance of winning the series. It was a crucial toss to win. England went unchanged. Pakistan made 3 changes with Azhar Ali coming in for Asad Shafiq, Abdur Rehman taking the place of the out of sorts Shoaib Malik and Aizaz Cheema replacing Wahab Riaz as the 2nd seamer to partner Umar Gul. 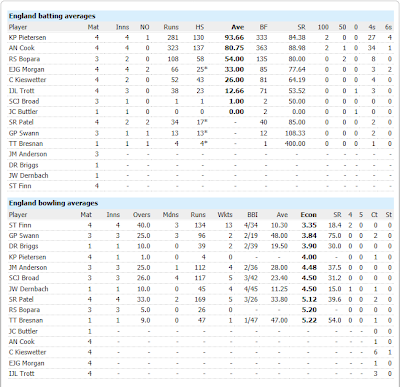 Once again Cook and KP put on a solid opening stand of above 50 runs without losing any wicket in the first 10 overs, before Saeed Ajmal struck in his first over and the 16th of the innings by getting the better of the flamboyant KP with an off break and KP didn’t bother referring as it looked pretty adjacent. Cook and Trott got together for the 2nd wicket as often is the case with England and milked the bowling around with efficient strike rotation before Aizaz Cheema was brought back for his 2nd spell and provided the breakthrough as the 2011 ICC cricketer of the year departed, edging behind to make shift arrangement, Umar Akmal. Bopara and Cook put on another significant stand for the 3rd wicket just like they did on Monday evening before Afridi broke the partnership in his 3rd spell towards the latter stages of the innings as Cook was caught and bowled with some extra bounce by the Pakistani all rounder after silencing his critics with back to back centuries. Morgan lasted the duration for an unbeaten knock and got some form under his belt. There were not many boundaries in his cameo except for a mighty blow all the way into the leg side stands in the 49th over of the innings against Saeed Ajmal. Bopara reached his 2nd half century in 2 innings before being dismissed by an off cutter on the final delivery of the innings to give Cheema his 2nd wicket. Pakistan required 9 less than what they did on Monday evening to win the match, but were hoping Azhar Ali’s inclusion would provide some stability at the top of the order which was badly lacking in the last one. Alastair Cook was once again the highlight of England’s innings as the left hander bossed the Pakistani bowling. Pakistan fell 20 runs short of the target as the Greens were bowled out for 230 in the 49th over with Imran Farhat and Misbah ul Haq top scoring. Azhar Ali made an impressive 32 batting at one down and showed a calm head in anchoring the chase for the power houses down the order before Samit Patel bowled him just before the batting powerplay was enforced on them. Both Umar Akmal and Shahid Afridi showed potential, but were dismissed at critical junctions in the match when they were looking dangerous and threatening to run away with the show. Earlier Mohammad Hafeez and Imran Farhat put on over 50 for the 1st wicket for the 4th time when they have been batting together as a pair. For England Steve Finn was once again the shining light with 4 wickets as the Middlesex bowler is currently the leading wicket taker in the series at the half way point. Pakistan will be hoping to take inspiration from 2006 where they were 2-0 up in 5 match series with one match in Wales washed out due to bad weather, but England came back with 2 wins to level the series 2-2. The next ODI is in Dubai on Saturday as is the final one. Misbah ul Haq will be hoping this time that he wins the toss and can bat first for a change. Samit Patel has voiced his hopes of England completing a whitewash on Pakistan in this series as Cook's side will be looking to wrap up the series come Saturday. England will return to Abu Dhabi for the final time in the tour during the 3rd T20 international on Monday 27th February, but for now the action moves on to Dubai where Pakistan will be hoping and expecting better things. Personally, I think there is bound to be complacency once you have won a high profile test series and it’s easy to take the foot off the gas and begin to take the opposition for granted once the major format is done with, especially when you win the series in such dominating style. 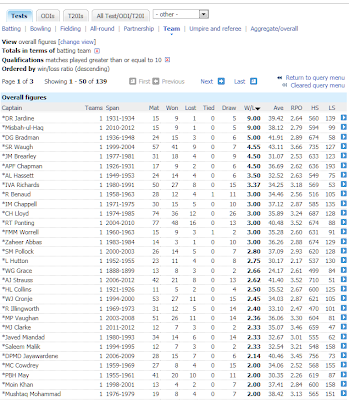 Perhaps the ICC should start to schedule tours more with T20s and ODIs at the beginning rather than at the back end of the tour as a leading up process to the test series almost as a first look at the opposition. It can be seen as preparation for the series which really counts. 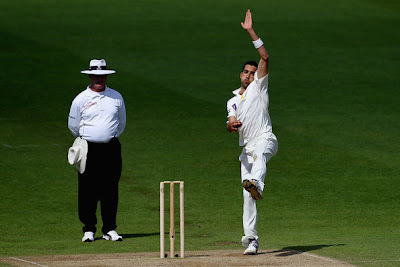 Umar Gul 7/10 - Two fine spells in the series, in the 3rd innings of the 1st test and in the fourth innings of the final test where Gul bagged 4 wickets to bowl Pakistan to victory on the same day. Had Gul not overstepped the front line during the 3rd day of the opening test the spearhead of the attack would have claimed a well deserved 5 wicket haul. Gul's role was limited in Abu Dhabi where 19 of the 20wickets fell to spin, but his pace managed to trap Bell in front with the 2nd new ball when Bell was looking it nice touch in that innings, managed to club a ball out of the mark to extend the lead and also held on to the winning catch of a historic win at deep square leg. Gul did the bulk of the work in the fast bowling department in tough conditions for pacers and delivered when needed as the senior bowler in the ranks. 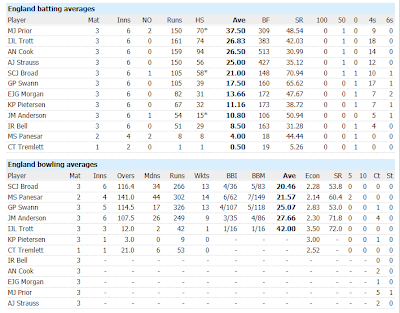 Junaid Khan / Aizaz Cheema - Limited bowling for both of them so I won't be grading them. Junaid bagged a pair and dropped a sitter in Abu Dhabi and disappointed when he came in to replace at the time injured Aizaz Cheema. Cheema only conceded 70 runs in 4 innings of bowling which is a reflection of how little he was used and needed by Misbah. Cheema went Not Out in all his 3 innings. Abdur Rehman 9/10 - 19 wickets in 3 tests for the slow left arm spinner with his canny darts and smart changes of pace and trajectory. However, he really struggled in the batting department against the off breaks of Graeme Swann who dismissed him 4 times out of 5, but he bowled extremely well that the batting utility can be overlooked. Rehman was the 2nd joint leading wicket taker in the series. When the two have bowled together in the same line up Pakistan have taken 20 wickets 9 times in 10 tests and formed a destructive partnership with their guile and accuracy. With 75 wickets in exactly 15 tests Rehman is on track to be one of the quickest to the feat of 100 wickets as the Sialkot Stallion has not only controlled the run flow, but been amongst the wickets consistently. Saeed Ajmal 10/10 - No brainer with regards to the mark. Perfection and rightly so. Where do we start? Saeed was phenomenal and claimed 40% of Pakistan's wickets in the series. Ian Bell was indeed his bunny as Ajmal saw the back of him on 4 occasions in this series as the off spinner spun webs around him. Saeed claimed 50% of his wickets LBW which gives a clear indication of how accurate he was bowling which enabled him to attack the stumps and bring DRS into play. The flat pace he bowled never allowed batsmen to get to him which enabled him to bowl to a plan and work over a batsmen by getting the chance to bowl many balls at him. His economy rate is a reflection of how difficult it was to rotate the strike against him with many batsmen getting stuck at one end. His action was always going to be a talking point if he performed so let's leave that one out. I think former England captain Nasser Hussain summed him up well : " The gem in that bowling attack, Saeed Ajmal can end up as one of the genuine greats of the game. Arguably the best cricketer in the world at the moment. The lad is an absolute gem both on and off the field. He is the smiling assassin like Murali." 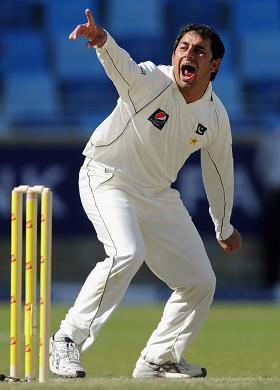 Ajmal during the series became not only the quickest Pakistani to reach the landmark of 100 test scalps, but also the quickest spinner to get there ever. In the last 3 major test series Pakistan have contested against West Indies, Sri Lanka and England, Ajmal has concluded the series as the leading wicket taker and MOTS. He was not off colour against them by any means, but his effectiveness was less against Zimbabwe and Bangladesh where Hafeez and Younis Khan received MOTS respectively. Younis Khan 7/10 - Younis was short of runs in this series for the most part, but in his final innings he demonstrated his class and calibre to become the 1st batsmen of the series to reach 3 figures. It was an exhibition of efficient technique to eliminate DRS, aggressive running between the wickets, manoeuvring the ball into the gaps, making it count once he was set, guiding Azhar Ali, accelerating and stamping his authority on the English attack. It was a masterpiece of an innings and England can and would have taken plenty of lessons from it, particularly on how to handle spin and overcome being paranoid as a result of DRS. It was Younis's 20th century in his glittering high achieving test career. The series couldn't go through without a Younis century and we finally got it. Younis would be the first to admit that he didn't have the best of times in this series, but he made up for it and it was only a matter of time before he delivered. MUH - 8/10 - We saw two crucial dogged, sturdy, determined test match innings in his first 2 innings of the series in the first 4 days of the series. Alongside Azhar Ali, MUH was the only batsmen to reach above 50 twice in the series as he continued his sensationally consistent batting record as captain. All 5 times MUH was dismissed LBW and 4 times he reviewed unsuccessfully. MUH also put on a 50+ stand for the 4th wicket with Azhar Ali on the penultimate day of the series as the solid and dependable middle order batsmen killed time with tight defence and powers of patience allowing the pitch to deteriorate further. Surprisingly no catches came his way. MUH has now featured in 99 wins in a Pakistan shirt and will want to get to the 100th one in the 1st ODI at Abu Dhabi on Monday. MUH deserves the plaudits for captaining his side to their first whitewash outside home. Throughout the tour he extracted the best from his players and guided the likes of Adnan and Shafiq a great deal. Also, he ensured the team did not get in hot water and kept everything in check with his respectable stature and stabilising presence which has been a rarity in previous Pakistan - England contests. Asad Shafiq 8/10 - Most catches by a non wicket keeper in the series as Shafiq held on to 6 of them which came his way. Shafiq continued to show why he was preferred ahead of the exciting and exuberant Umar Akmal with some vital knocks throughout the series, particularly in the Abu Dhabi test match and the first innings of the final test in Dubai where he top scored and allowed Pakistan to reach respectability when they were disastrously placed at 21/5 at one stage as the elegant stroke maker reached the 40s before being a victim of Monty's arm ball. Adnan Akmal 6/10 - One half century in the opening test and he was even a contender for the player of the match award with 7 catches and a vital half century to provide Pakistan with an important lead. It's never easy to keeping to the likes of Saeed Ajmal and Adnan was reasonably sound in the keeping department with the odd slight error. 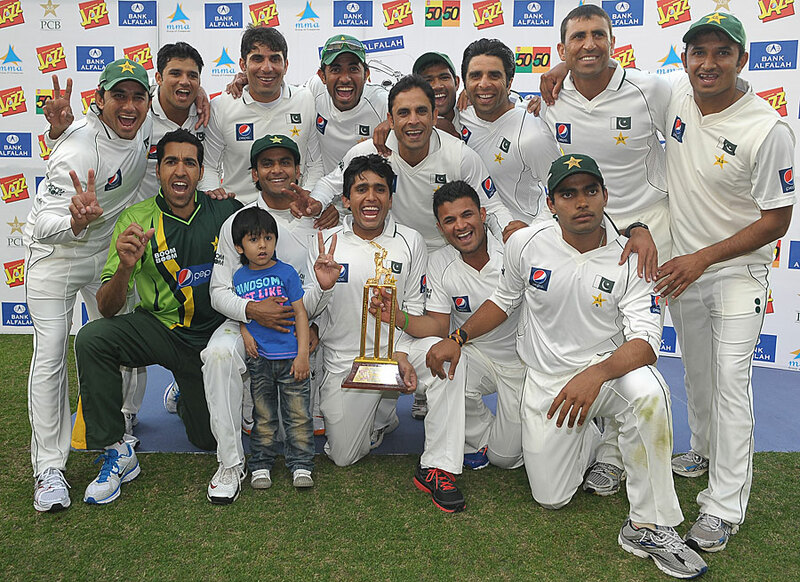 Adnan Akmal has played 13 tests for Pakistan and Pakistan have never lost any of those with 8 wins along the way. He's clearly a lucky charm for the team with his excitable appealing, tidy glove work and entertaining batting. He's got areas to work on, but this whitewash is an experience he shall never forget as he was part of it by keeping the energy levels high behind the stumps. 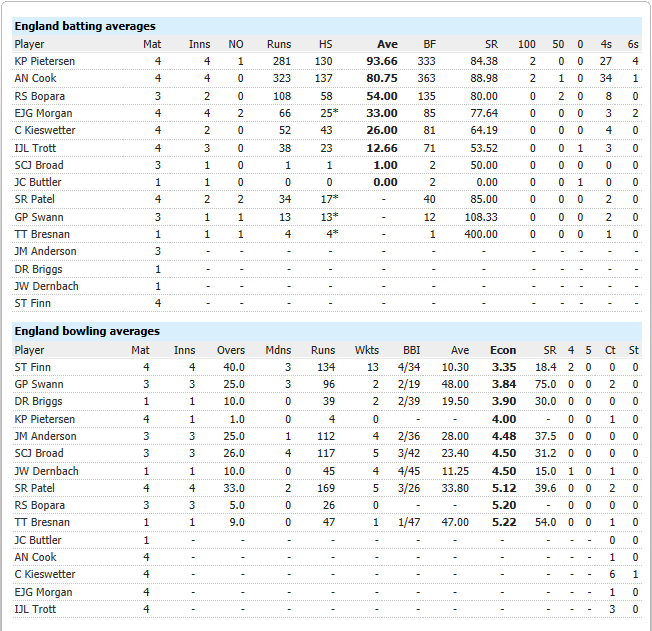 3) Graeme Swann to have a SR of above 100 whereas Ajmal has one below 80. 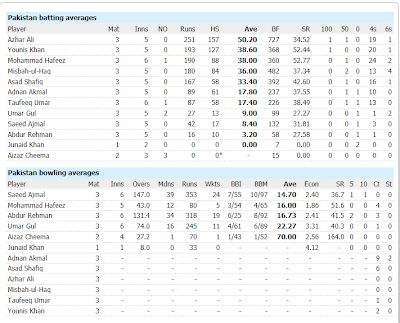 Swann to have an average nearing 40 whereas Ajmal to have one below 32. 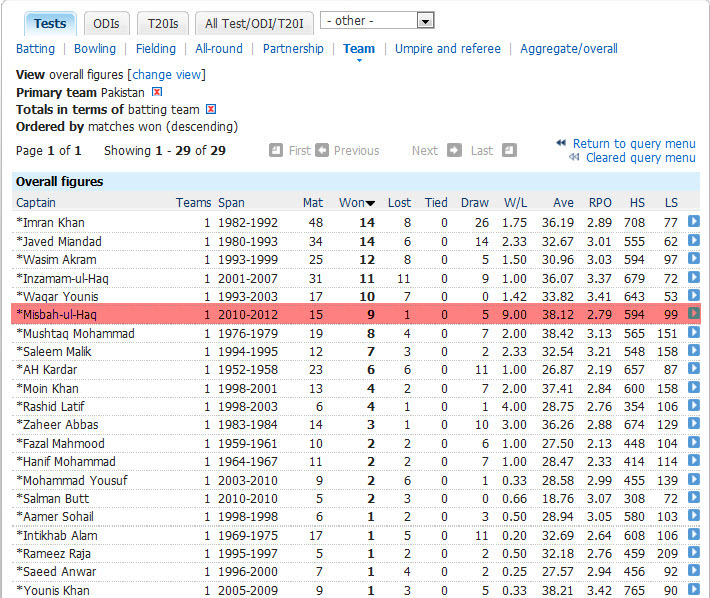 Ajmal to have 5 more wickets than Swann and out bowl him in terms of average and SR as well as the overall wicket tally. 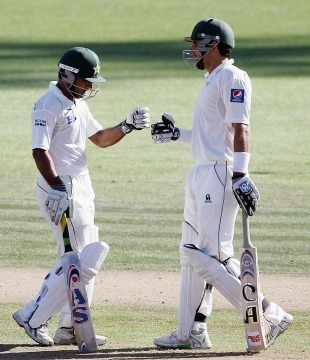 Azhar Ali achieved an average of above 50. 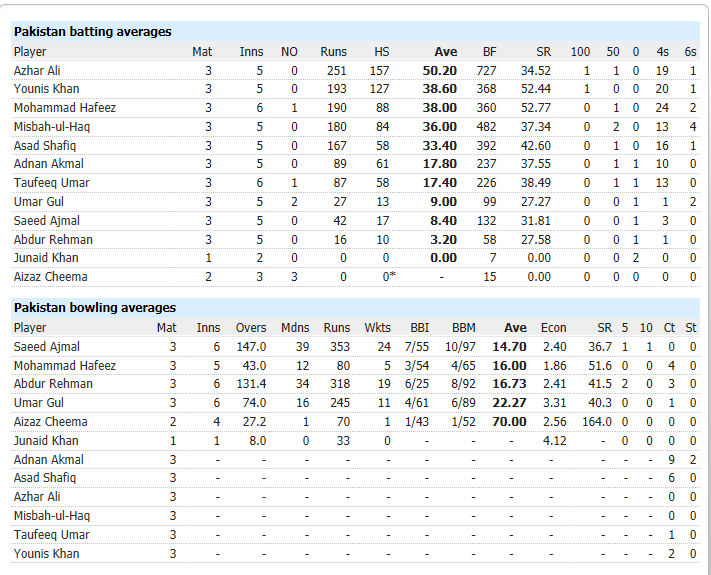 Younis and MUH had averages in the high 30s. 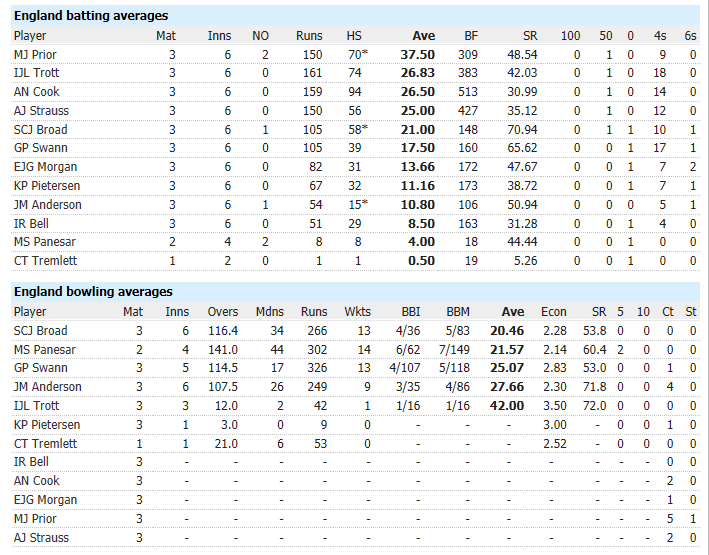 However, none of the opposition even had averages in the 30s! It was a momentous occasion for Afghanistan with their first official ODI against a major team at their unofficial home of Sharjah on a Friday evening under lights which is a local holiday in the United Arab Emirates. As always it was jam packed in Sharjah. It was an electrifying atmosphere as expected. 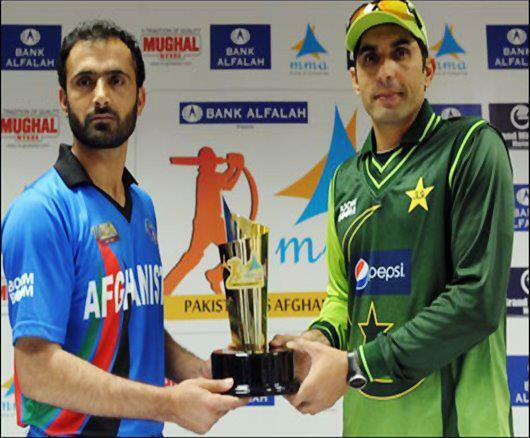 Afghanistan’s skipper won the toss and didn’t hesitate to bat first. Pakistan on the other hand played their full strength team with 3 front line bowlers and Umar Akmal keeping wicket. Wahab Riaz was playing his first international for the men in green since May when he played in the St Kitts test match in the Caribbean tour. Pakistan bowled out the Afghanistan side in the 190s as Shahid Afridi picked up his 8th 5 wicket haul and 6th MOM in the last 12 months for Pakistan. Pakistan cruised to victory in clinical and professional style with Younis Khan scoring an unbeaten 70 at over a run a ball whereas Captain Misbah made an unbeaten 40 to guide his side over the line by a 7 wicket margin. Earlier Imran Farhat made his 4th ODI half century in his last 10 innings since making his comeback in the team. Pakistan will be taking on England in the 1st of 4 one day matches on Monday from Abu Dhabi. Pakistan have won all of their last 14 internationals and this was their 7th ODI win in a row. Mohammad Hafeez 6/10 – Mohammad Hafeez scored 1 half century in 5 innings, held on to important catches and had 5 wickets at just an average of 16 including dismissing either Cook or Strauss 3 times early in their innings to break the opening partnership with a relatively new ball each time. 4 times he was trapped LBW in 5 times he was dismissed and the vast majority came against the spinners. Monty got him 3 of the times in the 5 dismissals whereas Swann and Anderson got him LBW one time each. Taufeeq Umar 5/10 – Taufeeq had a noteworthy test match at Dubai in the 1st test with a half century followed by an unbeaten stay to get the hosts over the line untroubled to take a thumping 10 wicket win. However, Taufeeq was dismissed cheaply in the next 4 innings with Swann getting him in Abu Dhabi bowled both time on the off stump line and Anderson removed him in his first or 2nd over with the new ball both times in the 3rd test with one delivery swinging back and the other shaping across as Taufeeq edged behind. Taufeeq also spilled a regulation catch in the slip cordon of Alastair Cook which could have proved to be costly. Taufeeq did put on 50 or above with Hafeez twice in the series for the opening stand. 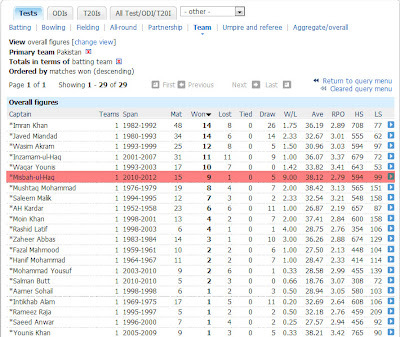 Taufeeq has now featured in 15 consecutive tests or 7 full series opening the batting with Hafeez, which is the most by any Pakistani opening pair. Azhar Ali 9/10 – Forget the low scores and trouble caused by Broad as we witnessed 2 vital innings in pressure situations during the course of the series. Azhar piled on an invaluable stand of 88 for the 5th wicket with Shafiq in Abu Dhabi to provide the bowlers with something to bowl at and prevent England from running through the line up on the evening session of the 2nd test day 3 when they had Pakistan 55/4 with the best part of 2 hours left in the day and only the youngsters and tail left, but they managed to survive to stumps without further loss and take the score to 125/4 to keep Pakistan’s hopes alive at the Sheikh Zayed Stadium. It was encouraging to see 2 young technically and temperamentally well equipped batters in their mid 20s digging their side out of trouble and demonstrating utmost character and responsibility with their resistant, disciplined, spirited approach. Azhar top scored in the 2nd innings of the 2nd test. In Dubai for the 3rd test Azhar complied a marathon effort for his 158 which he spent approximately 9 hours at the crease. The match was in the balance and if anything England had their noses in front when he walked out to the middle as the Greens looked to cut off the 42 run deficit they had conceded and then going on to lose both their openers whilst they were still trailing behind. Azhar managed to survive and looked solid in defence as he was 1* from 29 as tea closed in. Then, batted 2 full sessions without losing a wicket alongside Younis Khan who was having a stinker of a series up to this point as the Greens concluded day 2 at 222/2 for stumps after England had been shot out for 141 and Pakistan had been bundled out for 99 having won the toss on the opening day. This was a remarkable recovery. Their stand which was the highest of the series grinded England down mentally and physically and even if the rest of the order collapsed in a heap which they did in the middle session of the 4th day it was always going to be a mountain to climb from their perspective. What stood out about Azhar was how he eliminated DRS out of the equation, fluently tackled the spinners and showed endless persistence and perseverance early in his innings to get set for a long composed determined vigil as the test drifted away from England’s hands the longer he was out there. The KRL batsmen churned, wore, worked over, pro longed the innings duration, earned England’s respect, provided a firm platform for further easier accumulation/consolidation and frustrated the bowling into dust over a longer period in order to reach his career best test score as he negotiated with Swann and Monty securely in the 442 deliveries he spent at the middle which is the longest he has batted as a firm defensive founder, stodgy accumulator, workhorse, traditional blocker and innings holder. The true test virtues of discipline, mental toughness, determination, temperament unflappability, resistance, stamina and technical solidity were on display. Azhar was the leading run scorer in this tour and the only batsmen from either party to score over 200 runs as he ended on 251 in 5 innings at an average of 50+. This was the highest average of the series in what has been a bowler dominant low scoring series. Azhar made the highest individual score in the series, just like he did for Pakistan on Pakistan’s tour of England in 2010 where we saw that unbeaten 92 in a match winning cause at the Oval. The classical old school crease occupier also faced the most deliveries in the series with 727. In all 3 series which have been contested in the UAE against the South Africans, Sri Lankans and now England, Azhar has ended the series as the 1st or 2nd in the most runs, balls faced, 50+ scores registered and highest average. Azhar has only lost 1 in 9 series as a player since debuting at Lords in 2010 against the Aussies. Azhar has now entered the top 10 on the ICC batsmen test rankings alongside SRT. The future captain has 13 50s and 2 centuries in 39 test innings with both his centuries coming at the DSC. In all 4 sessions which Pakistan had on this tour where they only lost 1 wicket or less featured Azhar Ali which is a significant period in the context of the match scenario due to wickets falling quickly in the series and Azhar alongside his partner managed to block the passage, interrupt the pattern of wickets falling quickly, pick the bowling to negotiate with what was being sent down at them and ultimately this led to getting some partnerships rolling. The 3-0 mission accomplished in the most significant format was monumentally, pleasantly surprising jubilance which no one could have seriously thought about in terms of a series score-line along those lines, but the job is not completed yet by any stretch of the imagination and there is more dominance to follow and many more victories although they won’t quite be as resounding as the test ones, but ODI cricket is Pakistan’s forte which they take equally as seriously. Generally the ODI format in this part of the world has higher viewership, crowd attendances and genuine excitement. Going by how pessimistic some of the England supporters are about their team’s chances in the one day internationals which start next week over winning even a single one day international let alone draw or win the 4 match series, there is almost every chance for Captain Misbah’s Team Pakistan to whitewash the visitors in ALL formats and end up with a 10-0 score line once the whole tour concludes on Monday 27th February in Abu Dhabi. England have been woeful in sub continental conditions and lost 5-0 in India last year whereas in the World Cup only managed 3 victories in 7 encounters. They are below the men in green on the ICC ODI rankings by some way. 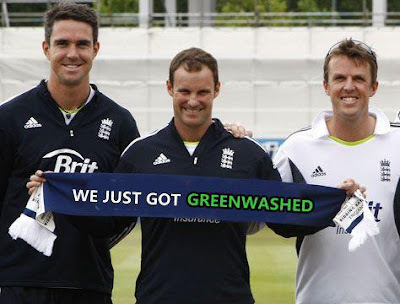 Last two ODI series they have played against the men in green away from home have ended in defeats for them. Cook and Broad are inexperienced captains and England is vulnerable to spin on the slow and low wickets. For the hosts majority of the overs will be bowled by the slower men who control the flow of runs, take wickets and are consistently reliable performers. It’s a squeezing process to overcome for the batsmen and each of the trio of spinners is different which never allows you to settle as a batter. With anything even over 200 on the board batting first and Pakistan will fancy their chances by turning to their spinners under lights, who get through their overs quickly not allowing batsmen to think on their feet, build pressure with dot deliveries, can come on early with the new ball to surprise the top order and with varieties in repertoire can break partnerships and cause panic in the dressing room at any moment. Lastly, they also have the skill, experience and confidence of bowling in the batting power play and can be extremely difficult to get hold of and subsequently trigger collapses courtesy of Saeed Ajmal’s mesmerising mysteries. The off spinners Saeed Ajmal and Mohammad Hafeez are ranked at 1 and 2 on the ICC ODI bowling rankings which just shows how impressively they have delivery in ODI colours over the last year whereas the multi talented leg spinner Shahid Afridi was the 2nd leading ODI wicket taker last year with 45 scalps in 27 outings including 4 5 wicket hauls with his canny flattish sharp drifting leg spinners, sliders and top spinners. The talismanic leg spinning all rounder has kept him busy by playing for the Melbourne Renegades down under while the national test team were up against Bangladesh and England and had a decent time of it over there from a personal point of view. How well England can negotiate and tackle these gifted, accurate and unorthodox spinners will be the deciding factor in the brief ODI series. The Men in Green are firm favourites, looking forward to the contests and the tourists will be up against it. We shouldn’t be surprised to see Pakistan win this series 4-0. It will be a challenging ride for Cook’s side and even harder than what they were up against during the test series which they’ll want to put behind them as quick as possible after suffering the humiliation of a clean sweep. The visitors will be taking on their Lions squad for a warm up fixture on Friday who have just beaten the Sri Lankan A team 3-2 in a 5 match unofficial ODI series whereas Misbah and company they will be heading to Sharjah for a one day international against Afghanistan on the same day where they will be looking to dominate and perhaps experiment. Only 2 of 8 KP writers had The Asian Side definitely claiming the series in the preview which was published on the 3rd of January titled: “England will be put through a tough Pakistan test”and that too by only a 1 match margin with a 1-0 scoreline. 1 of our writers hesitatingly sat on the fence at 1-0 either way, 2 said 1-1 including myself, 2 said 0-0 whereas one thought England would bag the series 1-0. Few of us expected Pakistan to win the series, compete and draw respectably perhaps yes, but winning it was not what we expected in all honesty. None of us said we would win the series by a 2 match margin, but it turned out to be by a 3 match margin. In the preview I also mentioned that 2 results was pushing it and 3 results was close to impossible, but as it stands the Greens have won all 3 tests with all 3 tests having results. We expected docile tracks, high scoring draws and uneventful action, but it was nothing but fast paced test cricket with wickets falling in clusters and tests continuously progressing forward towards an outcome with every session and none of the 3 tests went into day 5 believe it or not. 110 wickets fell in 11 days with over 3 wickets falling per session.